Looking for information about how to participate in the recycling program? Click here. 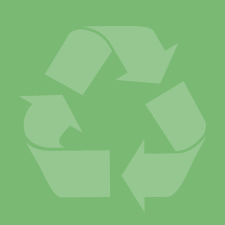 The Canton Curbside Recycling Program is a joint venture between the City of Canton, Ohio and the Stark-Tuscarawas-Wayne Joint Solid Waste Management District. Operated by the City of Canton and partially financed by the Solid Waste District, this program offers free curbside recycling service to all residents of the City of Canton who receive city sanitation services. The City of Canton began exploring a free, curbside recycling program as early as 2006, when a District-funded survey was taken of Canton residents regarding the subject. Survey results showed that residents were willing to participate in a recycling program so long as (1) it was easy, and (2) it was free. Following this survey, a feasibility study was conducted by consultants paid by the District. Their findings, coupled with the recommendation of the Solid Waste Task Force, led to Canton City Council authorizing the creation of a curbside recycling program in Canton. The District has awarded the City of Canton two start-up recycling grants in FY 2007 and 2008 totaling $833,500. The first $700,000 grant was intended to pay for start-up costs for the program, which was limited to the purchase of 3 recycling trucks and 30,000 plastic recycling containers for city sanitation customers. Following a sharp spike in the price of oil and petroleum-based plastic products, the prices of both the recycling trucks and plastic containers rose to such an amount as to require the City to request additional funds in April 2008. The second start-up grant awarded to the City by the District (in the amount of $133,500) will cover the cost of (a) distributing the bins to 30,000 sanitation customers, (b) education and public outreach efforts (i.e., advertising, direct mail, promotional material, etc. ), and (c) additional recycling containers. Following the first year of operation (FY2008), the City will take on full responsibility for the operating costs of the program, which includes, but is not limited to: salary, maintenance, capital expenditures, and additional marketing/outreach programs. Should the City of Canton not be able to sustain funding to required levels, the District may be forced to take the program over under EPA guidelines in subsequent funding years. 218 Cleveland Ave. S.W., 8th Fl.